New Orleans in Louisiana, nicknamed the ‘Big Easy’ is a real melting pot of cultures and experiences, making it one of the most fascinating cities in the world to visit. However, it can be pretty hard to know how to make the most out of your visit to the Big Easy. There are so many attractions to go to, things to see, places to eat and drink, and sights you simply can’t miss. Planning your trip to New Orleans can seem stressful if you want to try and do as much as possible during your time there. Luckily, we have you covered! Here is everything you need to know about traveling in the Big Easy. As you would probably imagine from such a unique city, there are plenty of weird and wonderful places to stay. No matter your budget, decor tastes, or location preferences, there will be somewhere for you in the Big Easy. While there are plenty of hotels and B&Bs to choose from, you could also go down the route of AirBnB and similar room rental websites. However, it’s important to note that the residents of New Orleans aren’t the biggest fans of those who rent their rooms out, so perhaps a hotel would be a better choice. It will also give you a chance to explore some of the rich cultures that this city has to offer. New Orleans is renowned for having some of the best food in the country. Due to the real mix of cultures, you can experience some seriously delicious local food that you might not be able to eat elsewhere. With over 208 cajun and Creole restaurants, this is definitely one style of food you have to try while you are in the Big Easy. Seafood is also a big hitter in New Orleans, so check out somewhere like GW Fins to get your fishy fix. There are eateries to suit every budget in this city, from the cheap eats of Commerce Restaurant through to the fine dining at Upperline. Make sure you sample everything this wonderful city has to offer. There are so many things to see and do in New Orleans, that there is a good chance you won’t be able to tick everything off your list during your visit. However, there are some attractions that you simply must make time for. The National WWII Museum is truly outstanding and constantly voted as the number one things to do in the city. You will need a good few hours to experience everything this museum has to offer, so factor this in during your vacation. You can also go on a variety of walking tours, including some spectacular ghost tours in New Orleans. If you’re not easily frightened, we would highly recommend the City of the Dead Cemetery Tour, which includes a visit to a voodoo shop. Spooky! 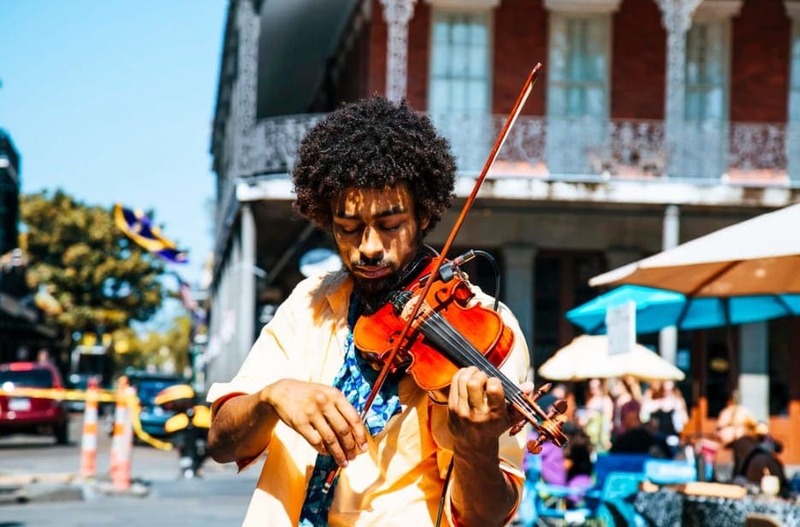 New Orleans is one of the most exciting cities to visit in America, and somewhere you should definitely add to your bucket list. Even just wandering around the streets, taking in the fascinating architecture, would be a good use of your time in this city! However, once you have finished wandering, use our guide and make the most out of your time in the Big Easy.